This was a Sunday afternoon wedding I did a few weeks ago for a local couple. 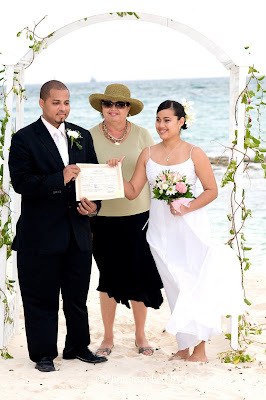 The ceremony took place on Seven Mile Beach, between Calico Jacks and White Sands condos. A kiss for my Mommy on her special day! Family smiles on the beach! When I saw these pictures I couldn't believe how spectacular the sunset was. The end of a very special day. 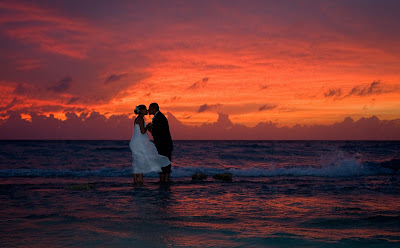 Sometimes you are very, very lucky and get this type of sunset on your wedding day. 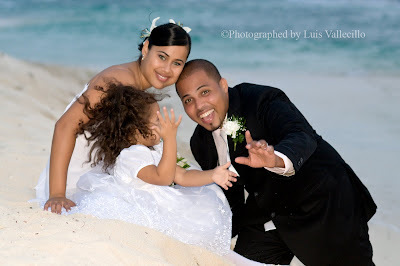 Ceremony by Joy of Weddings, arrangements by Party Mart, photos by Luis Vallecillo.